Do some cultural sightseeing at Church of The Visitation and Jalan Alor. Head to Chinatown - Kuala Lumpur and Mercato @ Pavilion KLfor plenty of shopping. Go for a jaunt from Kuala Lumpur to Port Dickson to see Cape Rachado about 1:55 hours away. There's much more to do: Head underground at Batu Caves, don't miss a visit to Kuala Lumpur City Centre (KLCC), contemplate the long history of Rumah Penghulu Abu Seman, and admire the masterpieces at Islamic Arts Museum Malaysia. 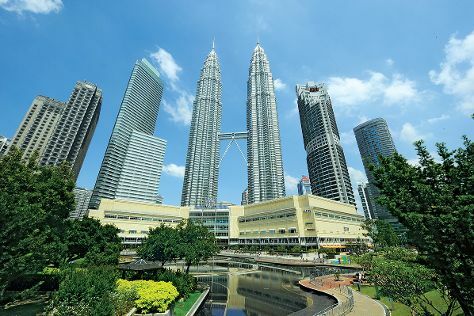 To find maps, more things to do, where to stay, and more tourist information, read our Kuala Lumpur vacation planner. Use the Route module to see travel options from your home to Kuala Lumpur. Expect a daytime high around 39°C in February, and nighttime lows around 28°C. Cap off your sightseeing on the 19th (Sun) early enough to travel back home.